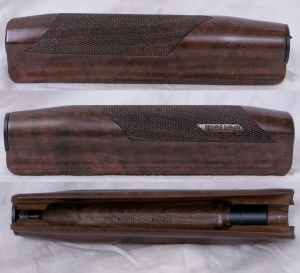 BENELLI ULTRALITE WOOD FOREARM. SMALL CRACK 1/2" NEAR FRONT WHERE KNOB TIGHTENS AGAINST FOREARM OTHERWISE EXCELLENT. MSRP:$200.